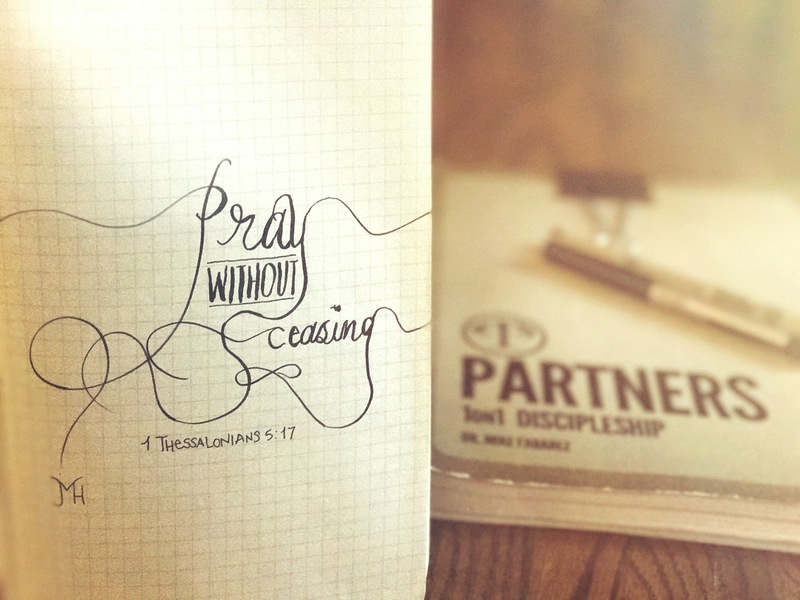 “Pray without ceasing,” (1 Thessalonians‬ ‭5:17‬ ‭ESV‬‬). Today’s #30DaysOfBibleLettering verse sits in the middle of one of my favorite segments of Scripture. We’re commanded to rejoice, pray, and give thanks. The trifecta. No matter what. Plus, it spells out part of God’s will—something people are searching for and desperately need to know. While recently praying with one of my friends, when it was his turn to pray, he asked that God would keep me from sin. What a comfort and encouragement to know that friends are praying for me to flee sin, chase after holiness, and pursue fellowship with Christ. I choose to joyfully give thanks to God in prayer for this friend. Do you pray without ceasing for the people you love? Next Next post: Do You Know Your Creator?